Ben Fogelson was ready for a career change, but his local roots and a devotion to service steered him to a different path. We wanted to know: What growing pains do business owners face once they have opened their doors? What are their struggles and successes? You can find our previous installments here, here and here. In 2014, instead of joining with a larger real estate brokerage, he established his own boutique real estate firm in the heart of downtown Eugene. 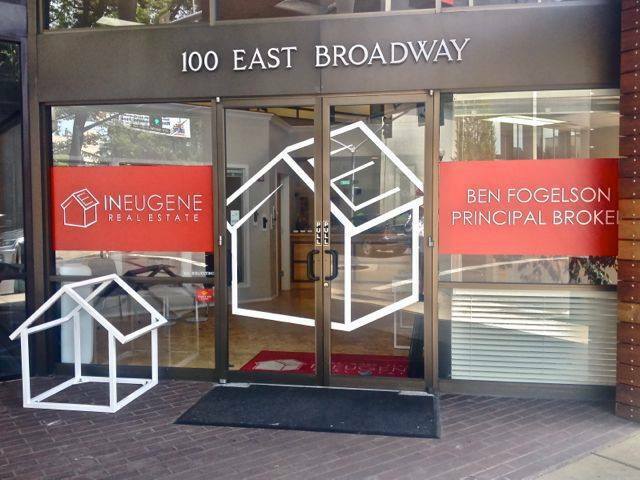 Today, Fogelson and the five real estate agents at InEugene Real Estate connect home buyers and sellers throughout Eugene, Springfield, and Lane County, Oregon—an area about the size of Connecticut. Fogelson’s decision stands out. As of 2016, there were 2 million real estate licensees and 86,004 real estate brokerage firms in the U.S. With an average of 23 licensees per brokerage firm, that can also make for a larger office, usually with large national firms whose names and yard signs you probably recognize. But that path wasn’t for Fogelson. Born half a mile from where his office is now, Fogelson traveled the world but knew that Eugene was home. As he planned and built InEugene Real Estate’s boutique brand, he kept thinking about that sense of home and of what drives people’s decisions about where they choose to live. “The local-centric branding that I employ tries to evoke that feeling of care for a community, care for our families,” he explains. For the next seven years, Fogelson worked in a “two-desk office,” learning the trade, making connections, and building his reputation. When the brokerage’s owner decided to shut down in 2014, Fogelson planned his next move. “For the same reasons I didn’t join with a large brokerage at the beginning of my real estate career, I again chose a route that was more reflective of who I was and what I could create,” he says. That focus continues to form the core and heart of Fogelson’s plans for the brokerage. He wanted a highly visible office in downtown Eugene, an area that has been the focus of revitalization efforts for businesses, local government, and the public (and that also kept him close to his nearby home). During the first year, according to a 2014 Eugene Weekly article announcing InEugene Real Estate, the firm had plans to support the community by opening its doors for Lane Arts Council First Friday ArtWalks, distributing blankets to the homeless, and sponsoring the Lane United soccer team. The above are posts from InEugene Real Estate’s Facebook page. Working from the heart and focusing on the community doesn’t grant immunity from growing pains. As Fogelson looks to increase his staff of agents from four to seven, he is navigating personnel and technology changes, while building and leading an engaged, effective team. That’s no easy task in an industry where agents work as independent contractors, and where intricate paper trails make it challenging to effectively manage process and customer relationships. Evaluating and onboarding the right tools for InEugene Real Estate has motivated Fogelson to turn to his colleagues elsewhere in the community and industry. He relies on his network for advice, then analyzes their successes and mistakes to inform how he can put new systems, processes, and personnel to work at InEugene Real Estate. “As a small, boutique brokerage, bringing on new agents, while ultimately designed to be fruitful, takes energy and oversight,” says Fogelson. “As we grow, there will be a more formal structure of transactional support beyond what we have already. This could involve anything from full-time receptionists to transaction managers, and additional help from newer agents,” who would train alongside seasoned agents on the ins and outs of technical systems and the relationships, process, and psychology underlying real estate transactions. Fogelson is also navigating external challenges. In January 2017, the Eugene/Springfield area had the second-lowest level of residential real estate inventory in the country. Fogelson certainly feels that pinch, but he also sees it as reinforcing the importance of education and service to buyers and sellers and focusing on what can connect a person to the right home. Real estate agents who want to find both happiness and success can look beyond the big national brokerages. Knowing what they want out of life and business is key—as is the freedom to call your own shots. There’s another essential ingredient, though. Working through the procedural complexity of any real estate transaction is about more than swapping out “for sale” with “sold” on a yard sign. Fogelson wants to help people find their homes in the community that is his home, and that is the key to his business. “When I meet with someone, I want to feel that the words that come to mind are attentive, caring, intelligent, happy, healthy, self-starters, have the ability to push through a difficult circumstance or a disappointment while staying positive and still caring for those around them,” explains Fogelson. “Real estate agents have a mediocre reputation, not too unlike attorneys. We wind up being middlemen. Some people don’t know how many nuances and subtle cues that we act on in protective manners to keep our clients safe,” says Fogelson. “We’re trying to increase the number of clients served. We do that by serving the clients we have as well as we can, to capitalize on the human tendency to spread good experiences by word of mouth,” says Fogelson. Real estate has traditionally been grounded in lots and lots of paper. Now, agencies are facing hard transitions to digital and online tools. Smart brokerages will go digital from the start. “It was going to be more efficient in every way to utilize digital file management,” says Fogelson. Building reputation, growing a client base, and adding more agents has all been possible not by growing as fast and as big as possible, but by staying true to InEugene Real Estate’s boutique model of making sure that agents and customers are right for each other. Even once your brokerage has survived its startup days, there will be challenges and growing pains both planned and unanticipated. You might doubt yourself and your business plan. Check in with your network, refresh yourself on your business plan, and above, all believe in the foundation you’ve built and your vision for the future. As Fogelson plans for the continued growth of InEugene Real Estate, he also thinks about where he hopes to be in a few years. With the brokerage adding more agents, there is the potential that Fogelson will add multiple offices and brokerages. No matter how the firm grows, he is determined to stay true to his core values of service and community. Thinking about starting your own real estate business? Check out Bplans’ sample business plans and our real estate business startup guide, or get started planning your business with LivePlan.